Updated 1st floor apartment. New a/c. New flooring in both bedrooms. Excellent schools. Gated community. A must see! Directions:SW 18th street (waterfall entrance). 1st left after guard gate into Plum. 2nd left to unit. SchoolsClick map icons below to view information for schools near 6590 Via Regina Boca Raton, FL 33433. 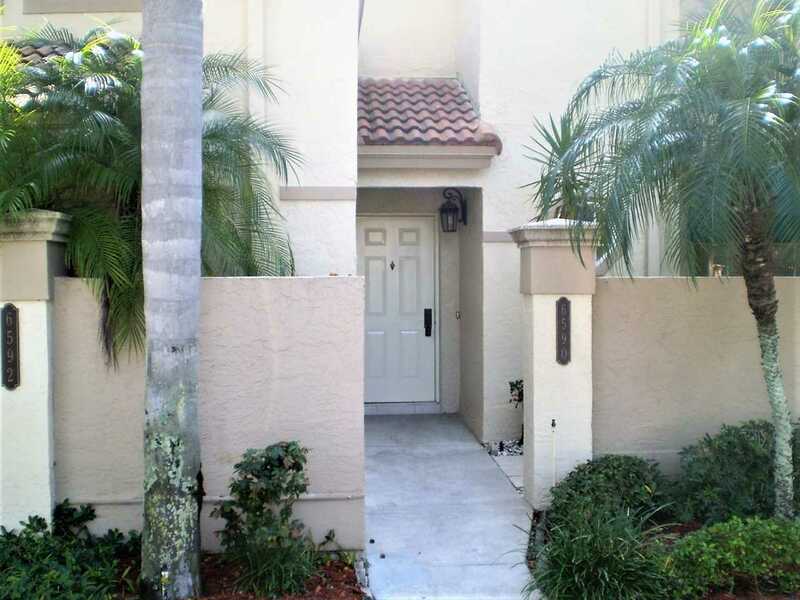 Listing provided courtesy of Home Source Realty Inc..
MLS # RX-10496925: This property at 6590 Via Regina, Boca Raton, FL 33433 is located in the Plum At Boca Pointe subdivision and is listed for $217,000. MLS # RX-10496925 has been on the market for 91 days.